I write this months’ message with a bit of a heavy heart. I am sure many of you knew Ron Watkins. Ron and his wife Nell were long time PRRN Members and were frequent attendees at NAPBS Conferences in the early days. I am very sad to report that Ron passed away on September 24th. I first met Ron when we was working for QuickSearch and manning a booth at a NAPBS tradeshow. He was a fun loving, outgoing, friendly and very caring man, someone you remember and would look forward to seeing again. I am proud to have known him and to have had him as a friend. If you are attending HR Southwest come to my presentation or stop by and say hello. 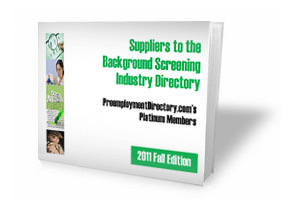 Get your copy of the 2011 Summer/Fall edition of theSuppliers to the Background Screening Industry Directory. Click on the image to see many of the best suppliers in the industry. This is a complimentary service for our Platinum Members listed in the Vendor Showcase of PreemploymentDirectory.com plus International Suppliers. Contact me to get listed in the winter edition. As you are putting the finishing touches on your 2012 budget remember to include PreemploymentDirectory.com. See our focused Marketing Portfolios and choose the one that best fits your business to see the wide array of marketing services we offer to support your business. Our goal is to create additional sales opportunities and leads for you so that you can meet your sales goals. Click here to get a copy of the 2012 Advertising Rate Sheet for The Background Buzz. Also a reminder that we will be publishing a 2012 Background Screening Industry Buyers Guide and reservation forms are attached. 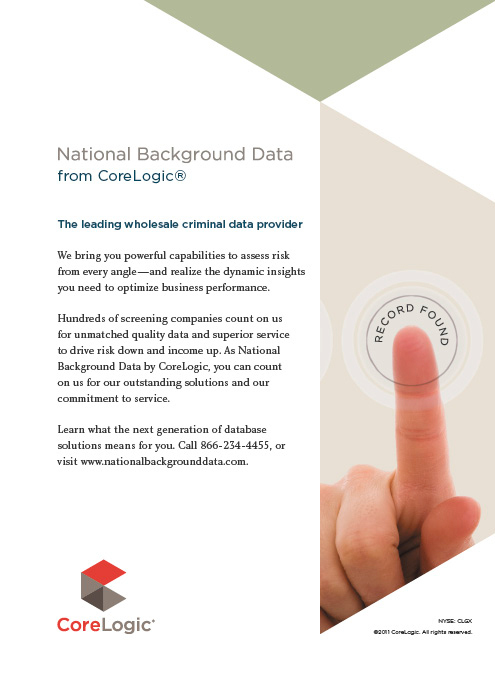 Incidentally, if you have not seen the 2011 Background Screening Industry Buyers Guide click here. If you would like a hard copy email me at wbnixon@aol.com. Platinum Members of PreemploymentDirectory.com please remember to reserve your Premium Advertising space before December 1st to ensure that you get the placement you want. Thanks again for joining us in this edition and have a great Thanksgiving celebration with your family. Stay safe and see you next month. Yokwe is hello in Marshallese which is the official language of the Marshall Islands along with English. On April 19, 2011, Vitran Express Inc. agreed to a $2.6 million settlement in a class action resulting from Vitran's alleged failure to comply with the Fair Credit Reporting Act (FCRA) when conducting applicant background checks. Specifically, the plaintiffs claimed that the company failed to abide by the notice and the risks disclosure requirements of the FCRA. The settlement exemplifies the risks associated with imprudent employer background check policies. A coalition of 25 civil rights and labor advocacy groups petitioned one of the nation's largest credit-monitoring firms, TransUnion, to quit selling consumer credit information to employers. Roughly 60% of companies factor credit information into hiring decisions, according to a 2010 survey by the Society of Human Resource Management (SHRM). TransUnion is also being targeted by California Gov. Jerry Brown's new bill, which bans most businesses in the state from using credit checks to screen potential workers, making California the seventh state to restrict the practice. The Equal Employment Opportunity Commission (EEOC) agrees with the coalition's stance stating, "The EEOC is concerned that not hiring people with poor credit may exclude qualified job seekers and some minority groups, and therefore may be discriminatory under civil rights law," said EEOC spokeswoman Christine Nazer. "Employers need to show that the use of credit records is job-related and consistent with business necessity," she said. Richard Varn, executive director of the Coalition for Sensible Public Records Access , has worked as chief information officer for both the state of Iowa and the city of San Antonio. Experts on identity theft and law enforcement officials who investigate the problem agree the real threat to your personal information and your bank account doesn't come from publicly available records.The Oklahoma Supreme Court is considering new rules that would eliminate birth dates and other identifying information from court records statewide as a response to fears of identity theft. The move would make it virtually impossible to check the criminal backgrounds of those you deal with, but experts agree it won't do much to prevent identity theft. The attendance at the ASIS International conference was consistent with previous years with the reported number of about 20,000 attendees. Essentially, the background screening industry has concluded that this show does not warrant their attendance. There were zero pure background screeners exhibiting. Sure, the security guard companies that also do backgrounds were there [Securitas (Pinkerton), G4S (Wackenhut), Allied Barton (HR Plus)], but, with the exception of HR Plus, these did not feature their Employee Screening services. NBD was there but not as a retail CRA. CrimShield was exhibiting but they geared their marketing toward credentialing of vendors and vendor employees. That's it!TLO, Hank Asher's latest iteration of his "master" database of everything you wanted to know about anyone was released earlier this year and they had a lot of activity in their exhibit area. Criminal background checks used to screen teacher applicants, doctors, nurses and daycare employees may not turn up their arrest records because of critical gaps in the Texas criminal records database, a new state audit shows. Prosecutors and courts have failed to submit to the state disposition records on about one of every four arrests in 2009, the audit found. While that is a slight improvement from a 2006 audit, it still means that the Department of Public Safety Computerized Criminal History System is not a reliable source for complete information, the audit found. Each year, tens of thousands of tenants in California are sued by their landlords, often in eviction actions. TimLincecum recently made headlines, not because of his high profile career but rather for a lawsuit brought upon by his ex-landlord. Lincecum had allegedly "trashed" his apartment, stolen items from the unit, and caused $350,000 in damages. Despite the absence of photos and details to back up the landlord's case, it appears Lincecumhas already been added to the so-called "tenant blacklist." Because credit reporting companies are allowed under the First Amendment to report available court records to prospective landlords as part of credit checks, cases like these, regardless of the outcome, will remain on file and can potentially damage a tenant's credit history and ability to rent in the future. Equifax announced the launch of their new online tenant screening service, Tenant Selector. Tenant Selector gives registered property management professionals the ability to screen potential renters quickly and easily.Tenant Selector draws on Equifax's market leading source of consumer credit information to instantly provide users with 24/7 access to a real-time recommendation on prospective tenants. No longer is it necessary to pull and review an applicant's credit report to protect oneself against the potential threat of income loss or identity theft. Users simply enter the applicant's name and other personal information into the system and Tenant Selector will do the work. Within seconds, Tenant Selector delivers an 'accept' or 'decline' recommendation based on factual information, not 'gut feel'. Tenant Selector is a web enabled, browser based proprietary tool developed in-house by technology and solution experts at Equifax. LexisNexis(R) Risk Solutions announced the launch of LexisNexis(R) Resident Screening Marketplace Intelligence, an easy-to-use solution that offers leasing agents, property managers and investors instant access to daily reports on resident property performance against millions of annual LexisNexis resident screening searches. Using this predictive and proactive benchmarking and analytics tool, multi-family housing management companies with more than 100 units will be able to strengthen their resident business strategy, enhance their property portfolio and attract the highest-quality residents by making smarter, more profitable decisions. "If you surf the Web or shop on-line, you can use our benchmarking tool, it's that easy," said Ginny Gomez, vice president, product management, Screening, LexisNexis. 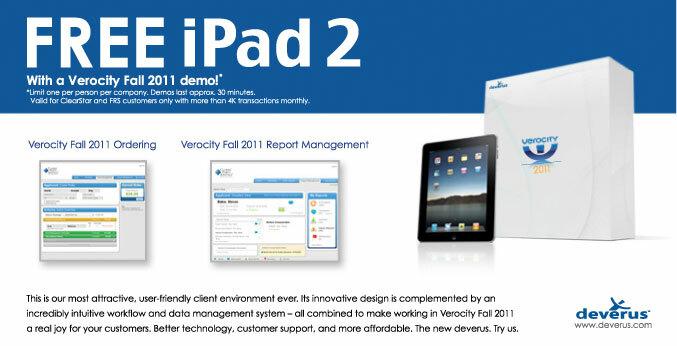 "What's remarkable about our service is the quality of in-depth data that is easily accessible. Marketplace Intelligence analyzes a firm's search history and automatically performs a precise comparison against all LexisNexis search activity dating back two years. TALX , provider of Equifax Workforce Solutions and a leader in human resource, payroll and tax-related services, announced it has partnered with The PI Company to offer employment verification services to public housing properties nationwide. Since, under federally assisted housing programs, a tenant's rent is determined by their annual income, housing authorities can now more accurately determine the appropriate rent during the application or re-examination phases of tenant application using TALX verification service, The Work Number®. Accessible from a single-source web-based portal, users will have the ability to instantly verify prospective tenants' employment and income, along with traditional Tenant PI services. This format provides public housing authorities with simplified and timely access to those criteria needed to fairly and effectively evaluate tenant applications. In a recent court case, a prospective employee claimed that the employment agency, Robert Half International, Inc. (RHI), violated the FCRA (Fair Crediting Report Act) following the running of a background check on him. RHI provided the applicant a copy of his background report containing numerous criminal convictions in Minnesota, Texas and Virginia, along with his rights and notification that he had ten business days to dispute the information and submit a revised report. Despite successfully disputing his report, resulting in the removal of criminal records from Texas and Virginia, RHI had already disqualified him as an employment candidate. When the applicant argued that RHI should have waited longer to make a decision, the court ruled that the FCRA does not require a waiting period between notice and subsequent adverse action, and such a requirement would place unreasonable constraints on employers. Effective January 1, 2012, California employers will be prohibited from obtaining consumer credit reports for purposes of evaluating an applicant for employment, reassignment, or retention without a valid reason. Credit reports can only be obtained if the person has or will have a position that is at a managerial level, involves access to confidential information, involves regular access to cash, etc. Failure to comply could result in applicants or employees filing lawsuits seeking damages which could include court costs, loss of wages, attorneys' fees, and when applicable, pain and suffering. In addition, courts can award additional damages up to $5,000 for each violation and any other relief it deems necessary. We are grateful to John Fay, Vice President of Products and Services and General Counsel at LawLogix, Incfor providing the expertise for this valuable endeavor. 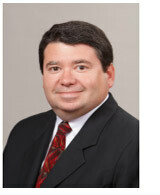 In his current role, John serves as, a leading provider of Electronic I-9 Compliance, E-Verify and Immigration Case Management Software and is responsible for overseeing product design and functionality while ensuring compliance with rapidly changing immigration and employment eligibility rules. Under the Immigration Reform and Control Act of 1986, employers must retain an employee’s completed Form I-9 for as long as the individual works for the employer. Once the individual’s employment has terminated, the employer must determine how long after termination the Form I-9 must be retained. An employee was hired on March 1, 2000 and terminated on May 1, 2001. On what date can the employer purge the I-9? HireRight , a leader in employment screening solutions, has announced that Powerchex Ltd and Kroll Background Worldwide Ltd have united under the HireRight brand name, creating one of the largest and most capable screening solution providers in the world. Powerchex Ltd (which has changed its name to HireRightPowerchex Ltd.) and Kroll Background Worldwide Ltd (which has changed its name to HireRight Ltd) began their transition to a single brand name following last year's acquisition of the entities by HireRight, Inc. and HireRight's parent company, Altegrity, Inc., respectively. "Uniting these leading businesses under the HireRight brand name helps support our global growth objectives and positions us to better serve customer needs regionally, with local presence and knowledge," said Mike Petrullo, HireRight president and chief executive officer. 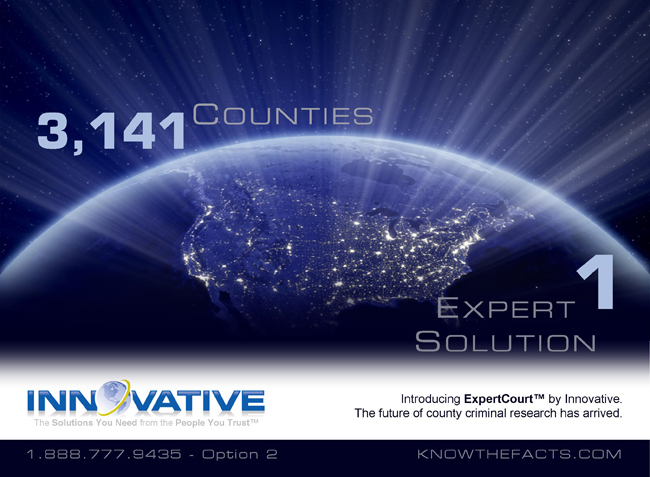 Innovative Enterprises, Inc., a strategic partner to the background screening industry and expert provider of court research information products, smart data solutions and ancillary services, announced the official launch of Innovative Investigative Solutions™ and the line's inaugural product offering, the Background Profile Summary™. The Innovative Investigative Solutions™ product suite will empower investigators, law enforcement and risk management professionals to more efficiently manage their investigations, providing a comprehensive toolbox that leverages the power and precision of the Innovative solution set. With the new Background Profile Summary™ report, investigators now have access to an expansive array of investigative sources at their fingertips that provides answers to the "who," "what," "where" and "when" components of their investigations. SkillSurvey®, Inc. announced that it was named to Deloitte's 2011 Fast 500™ list for North America and to the companion Fast 50 list for Greater Philadelphia. 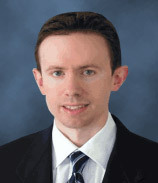 SkillSurvey, the inventor and leading provider of Web 2.0 reference-assessment solutions, ranked number 116 among the 500 fastest-growing technology, media, telecommunications, life sciences, and clean technology companies in North America and it also ranked number four among the top 50 of those companies within Philadelphia. The ranking is based on revenue growth between 2006 and 2010, reflecting 919% growth for SkillSurvey during that timeframe. Sen. Daniel Akaka (D-HI) has introduced a bill to amend the Privacy Act of 1974 in response to expansions in techology, increased secuirty needs, and growth of the data "market." The Privacy Act Modernization for the Information Age of 2011 would create a federal chief privacy officer and a government-wide Chief Privacy Officers Council to help "fill wide gaps in…privacy leadership and ensure consistent development of policies and guidance on the Privacy Act across agencies," Akaka said.It would also update penalities for Privacy Act violations and overturn the Supreme Court's decision in Doe v. Chao, which held that, "an individual has to show actual damages resulted from an intentional or willful improper disclosure of personal information in order to receive an award." Hiring will remain steady throughout the U.S. and Canada for administrative and commercial jobs, according to results of a hiring trends survey of more than 17,000 current and former clients, released by Express Employment Professionals.Hiring trends in all regions will be greatest in commercial and light industrial with 32% of respondents planning new hires, while 28% anticipate adding administrative and office clerical staff. Other survey findings included: 14% of respondents plan to hire for engineering positions, 13% for marketing jobs, 10% for accounting and finance positions, and 9% for information technology specialists.The survey also revealed a 13% hiring increase during the fourth quarter and that many companies report it is becoming easier to recruit and fill positions. The SHRM Jobs Outlook Survey (JOS) Report examines hiring and recruiting trends twice annually in the United States. It is based on a survey of more than 400 public and private-sector human resource professionals with a direct role in the staffing decisions at their respective companies. Respondents come from small, medium and large companies from around the U.S. and belong to a variety of for-profit, non-profit and government entities. The new HireRight Applicant Center Mobile™ provides job applicants with a personalized and intuitive screening experience, enabling them to supply information, check status, and access live help through their mobile device (see news release below). Candidates can also receive text alerts so they can respond faster to requests for information, expediting screening and speeding time-to-hire. Applicant Center Mobile demystifies the screening process and improves transparency and visibility for employment screening, improving the candidate experience. I author an on-going column on background screening in PI Magazine which is the voice of the PI industry. We have negotiated a fabulous sponsor package for the column to promote your business to the PI industry. Did you know that there are 45,000 active PI's currently in the US and that 75% of them conduct background checks? Also did you know that PI's spend approximately $60 million on data providing services annually? In September 2011, the Public Record Retriever Network (PRRN - www.prrn.us ) conducted a study regarding the frequency of "hits" when performing name searches using the criminal record index found at the courthouse. For example, if 100 different names were searched onsite at the courthouse, how many of these names would reveal a criminal record? The study was calculated on a state basis. Two questions were posed: 1) What is your normal range of hits at both the high and low ends? and 2) What is your overall average? There were 208 state responses. Instructions from the client (CRA) regarding how far back to search. If the client (CRA) asks for misdemeanor to be included in a search. If the client (CRA) does a "pre-screen" - meaning if a search was first performed using an online resource (such as a statewide online source). Usually this leads to a higher hit ratio since the researcher is asked to predominantly find and verify the case files. There may be differences from one county to the next within the same state, and this is a statewide study. Commissioner Victoria Lipnic recently spoke at the National Association of Professional Background Screeners (NAPBS) Mid-Year Conference in Orlando, Florida. Commissioner Lipnic is one of five Commissioners at the Equal Employment Opportunity Commission (EEOC). During her hour plus speech, it was clear that she is quite knowledgeable about the background screening industry and understands the concerns of background screeners given the on-going attacks on the industry. Having said that, she laid out a grim forecast for the background screening industry, particularly for the use of criminal history records in employment screening. While Commissioner Lipnic may understand that background screening is a necessary practice or policy for businesses and others to protect themselves, their employees and their customers, that view is not the prevailing view at the EEOC. Throw into the mix the current employment situation and EEOC Chairwoman Berrien’s strong push for re-entry of ex-offenders and you come up with a negative perception of the background screening industry at the EEOC. The prevailing view at the EEOC is that criminal background checks are presumptively bad because of the effect on Latino and Black individuals and disparate impact. Quick side note, the EEOC and others are part of a Federal Interagency Reentry Council. The Centre for Retail Research's Global Retail Theft Barometer for 2011 (GRTB 2011)reportsurveyed more than 4,500 retail corporations in 43 countries found employee theft to be the greatest shrinkage problem in North and Latin America. Shrink or unaccounted for merchandise in a store's inventory is higher (almost 7%) worldwideaccording to the Theft Barometer Report. Employee theft accounted for 35% percent of shrinkage with dishonest employees being the largest source. The report also found that when employees steal they steal close to five times the amount stolen by customers. Most shrink occurs in cosmetics and beauty supply, clothing, and auto parts and building materials industries, respectively. As retailers across the country begin to hire thousands of holiday employees, the National Retail Federation today released a survey that illustrates the importance of employee background screenings in keeping customers safe. The survey, completed by retail executives from 96 of the nation's leading department stores, mass merchants, discounters, drug stores, grocery stores and restaurants, examines retailers' use of background screenings during the application and employment process. Nearly all retailers (97%) utilize background screening in some form during the application, hiring and employment process, according to the survey. Additionally, companies routinely conduct pre-employment background checks on a wide range of associates from senior executives (85.7%) to store associates (55.2%), with a particular focus on customer-facing employees and managers. "Background screenings help retailers ensure the safety of both shoppers and employees from the very beginning of the application process," said NRF senior asset protection advisor Joe LaRocca. "Pre-employment screenings are one of the tools retailers use as a first line of defense, especially during the holiday season when companies many have hundreds - if not thousands - of applications to sift through." The Death of Reference Checks…? Reference checks are a critical component of the recruitment process and when done properly, can lead to increased applicant quality, reduced losses for employee dishonesty, and greater profits. Employment Office's Shortlisting Specialist team has developed a list of tips for performing effective reference checks, which can ultimately save a company both time and money by avoiding re-recruitment. These tips include: tailor your reference check questions to help clarify any potential areas of concern; specify ahead of time what sort of questions you are going to ask; and implement free 'modern day reference checks' by making the most of social media. While the confirmation of past employment, performance and salary levels is an essential step in hiring, the typical process of phoning several of a candidate's prior colleagues and managers is a burden for HR administrators. When this is multiplied across several open positions, a hiring manager may find herself working the phones for many hours a day. 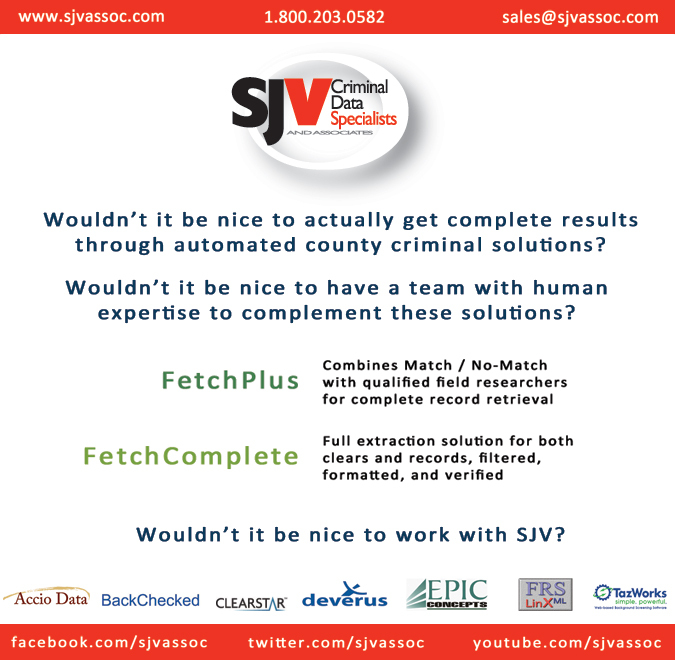 No more, thanks to the Selectech 360 Reference Check system, newly released by ERC Dataplus. This new software module allows HR administrators to select a role-specific or general script of questions; these are used to create a unique and secure profile for each job finalist. Once the survey script is chosen from among several dozen options, HR sends a survey link within a simple email message to the job finalist, along with instructions for the finalist to share the survey with his or her references. The finalist sends an e-mail (with the Web link) to the former colleagues he or she selects: supervisors, peers, direct reports, customers/clients; the finalist can also complete a reference evaluation. HR determines how many references the finalist must contact; the system can handle multiples of ten individuals. The arrest of more than three-dozen people at a Boeing military aircraft plant for selling or trying to buy painkillers and anti-anxiety drugs, highlights the growing problem of prescription drug abuse by U.S. workers. Detecting such abuse in the workplace is problematic because most drug tests currently utilized by employers are geared toward illicit drugs such as marijuana. In fact, only 12% of the 4.5 million drug tests conducted last year tested for Oxycontin, a powerful painkiller, according to Quest Diagnostics. In addition, 75% of drug tests are initiated solely at the time of hiring, therefore bypassing current employees who may develop an addiction while on the job. The 400% increase in prescription painkiller abuse treatment over the past decade has prompted the Obama administration to launch a fight against a "prescription drug abuse epidemic." A recent survey conducted by Right Management found that a bad hire can cost an organization anywhere from one to five times the employee’s annual salary. Twenty-six percent of survey respondents reported that replacing an employee who doesn’t work out cost their organizations three times annual salary, and another 42 percent said bad hires cost two times annual salary. Governor Jerry Brown of California signed into law Assembly Bill 1236 "the Employment Acceleration Act of 2011," which prohibits the state of California and any of its cities, counties, or special districts from requiring an employer (other than a government entity) to use E-Verify as a condition of receiving a government contract, applying for or maintaining a business license, or as a penalty for violating licensing or other similar laws. The bill notes, "the cost, technological demands, and staff time that an electronic employment verification system requires to use and implement come at a time when they [employers] are already struggling." Despite these restrictions, California employers are still free to use E-Verify on a voluntary basis or as required by federal contracts. As E-Verify requirements continue to change, employers need to make a coordinated effort to successfully manage their I-9 and E-Verify obligations by working closely with immigration counsel and adopting the use of smart electronic tools, which combine both the I-9 and E-Verify steps into one seamless process. Ketchikan Drywall Services (KDS), a drywall and framing company in Washington, was found to have committed 225 separate I-9 violations and fined $173,250 by the Administrative Law Judge (ALJ). Immigration and Customs Enforcement (ICE) issued a Notice of Intent to fine, alleging 271 Form I-9 violations and seeking a fine of $286,000. The case went before the Office of the Chief Administrative Law Hearing Officer (OCAHO) and addressed over 250 alleged violations, including whether employees were recalled from layoff or rehired; whether information in supporting documentation is sufficient when the I-9 has none of that information; whether late production of a lawful permanent resident (LPR) card alleviates a substantive violation for no status box checked, etc. KDS's undisputed violations included failure to sign the I-9s, failure to list any or all the necessary information in List A, B, or C, and acceptance of improper documentation. John Morton, Director of Immigration and Customs Enforcement (ICE), announced record numbers of worksite enforcement investigations, criminal prosecutions, and administrative-fine-awards. ICE's comprehensive worksite enforcement strategy is focused on deterring unlawful employment and hopes its increased investigative activity will drive employers toward employment verification compliance. Administrative/criminal investigations are up 54%, criminal arrests/prosecutions of owners, HR managers and executives are up 45%, and issued Notices of Inspection for Forms I-9 are up more than 375% from FY2008. Justice Department prosecutors, acting in conjunction with the Office of Special Counsel for Immigration-Related Unfair Employment Practices, have filed a lawsuit against a medical services provider with skilled nursing facilities throughout California. The Government alleges in the September 30, 2011, complaint that the company engaged in a pattern or practice of discrimination by imposing unnecessary documentary requirements on naturalized U.S. citizens and work-authorized foreign-born workers. The Immigration and Nationality Act's anti-discrimination provisions prohibit employers from exceeding the verification requirements for work-authorized employees during the process of hiring based upon an applicant's or employee's citizenship status or national origin. 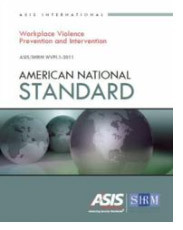 Developed jointly by ASIS International and SHRM, this new American National Standard will help organizations implement policies and practices to more quickly identify threatening behavior and violence affecting the workplace and to engage in effective incident management and resolution. The new Standard reflects a consensus from professionals in the fields of security, human resources, mental health, law enforcement, and legal. It serves as an important tool to help organizations evaluate current practices; develop or enhance workplace violence prevention and intervention programs; and effectively manage post-incident issues. "Practitioners can use the Standard to evaluate whether their organization is taking sufficient steps to protect employees from a wide range of problematic behaviors that can compromise workplace safety," said Rebecca A. Speer, Esq., founder and principal, Speer Associates and chair of the Workplace Violence Prevention and Intervention Standard Committee. "It helps to answer the tough questions many security, HR, and legal professionals need to ask: 'Are we doing enough?' and more importantly, 'Are we doing the right things?'" Visit our VENDOR SHOWCASEwhich features suppliers to the Background Screening Industry. 2011 Summer/Fall Edition Directory of Suppliers Now Available! On October 7, 2011, the Constitutional Court of Colombia approved a landmark omnibus data protection law. Which of the following activities are now prohibited under the new law? C. Forbidding access rights by data subjects to their own information. Many employers are now utilizing social media outlets such as Facebook and Twitter to assist in background checks on future and prospective employees and volunteers. However, information retrieved from these sources is oftentimes collected without an individual's consent and many employers are finding themselves in legal trouble when it is used improperly. British Columbia's Privacy Commissioner has released guidelines for social media background checks to help organizations navigate social media background checks and privacy laws. The guidelines discuss topics such as: the risk associated with performing a social media background, the inadvertent collection of third-party personal information; things to consider and what to avoid when performing social media background checks, and more. Pearson International Airport workers linked to organized crime are stealing baggage tags from unsuspecting travelers to use in smuggling bags laden with drugs into the country. Some airport security staff allege more drugs are being smuggled by corrupt airport workers than by travelers arriving on flights. A Royal Canadian Mounted Police (RCMP) report from several years ago found 58 criminal gangs operating at Canada's largest airports. Drug officers said the corrupt workers usually steal the name and address tags from the luggage of innocent travelers. Smugglers then attach them to drug-filled bags being snuck into the country. Bags with name tags are put aside for their owners to claim, which creates opportunities for smugglers to receive instructions by foreign drug lords on what color or label bag must be picked up. Tagged bags that are intercepted by officers of the Canada Border Services Agency (CBSA) often victimize innocent travelers since their names and addresses are attached. On September 29, 2011, the Canadian government introduced Bill C-12 to amend the Personal Information Protection and Electronic Documents Act (PIPEDA), the federal private sector privacy act. If passed into law, the Bill will alter the current form of PIPEDA in several important respects. The NAPBS Board of Directors approved the Canadian Chapter's application in September. With this approval Canada becomes the newest chapter following in the footsteps of APAC and Europe. To join the Canadian Chapter or for more information contact the Chapter Chair, Nadine Lecomte at nadine.lecomte@garda-world.com . Colombia's data protection law has been approved by the Constitutional Court, reports Pablo Palazzi, Attorney, Allende & Brea, Buenos Aires. The new law was outlined in PL&B International Report (February 2011 p.18) in an article which forecast its adoption by the Constitutional Court later this year. The new statute, which is likely to be soon signed into law by the President, will benefit the growing call centre business and trade with the European Union. As signs of modest economic improvement continue to emerge in Europe, 67% of business leaders from both the European Union (EU) and the rest of the world are more optimistic about the prospects for European growth in the year ahead than they were twelve months ago, according to a survey by Accenture commissioned by the Federation of Enterprises in Belgium (FEB). And, despite continued volatility and sluggish economic growth, business leaders are recognising longer-term growth potential in Europe, evidenced by the 45% of survey respondents who plan to increase their investment levels in Europe by between 5% and 20% over the next three years. 10% of respondents plan an investment increase of more than 20%. At the same time, the majority of business leaders signalled that there should be no let-up in European governments' programmes of fiscal consolidation. 71% of business leaders believe that the actions being taken by European governments to reduce their budget deficits and levels of public debt are either "too slow" or "about right". European Privacy: Law and Practice for Data Protection Professionals is the essential text for professionals working in privacy, data protection or a related field, either in Europe itself or in any location where responsibilities include data transfer to and from Europe. Global data protection practitioners and CIPP/E certification candidates will all find this to be a valuable reference guide to pan-European and national data protection laws, the European model for privacy enforcement, key privacy terminology and practical concepts concerning the protection of personal data and trans-border data flows. It is not clear what impact a revamp of the EU and US data privacy legal frameworks would have on Safe Harbour. According to the Commerce Department official, "we have been assured by the European Commission that Safe Harbour will not be affected by changes in the Data Protection Directive". The official adds, however, that they do have concerns about US firms lacking the clarity they need should new terms like 'privacy by design' and 'right to be forgotten' be introduced without their precise meaning being spelled out. A Commission proposal is due to be unveiled in early 2012. Providing references for past employees can be risky for employers when it comes to unfavorable information. While there is no duty to provide a reference, it is well established that a duty of care (truth, accuracy, and fairness) is required when giving a reference. Employers must ensure any comments they provide are backed with sufficient evidence in order to avoid lengthy and costly negligence claims. In the recent case of Jackson v Liverpool City Council, an employer chose to leave several unfavorable questions unanswered to avoid running the risk of a negligence case. The employer answered many questions positively, including the employee's strengths, yet also noted record-keeping concerns, which were never fully investigated. When the employee in question sued for damages, the judge initially agreed the reference was unfair because the employee never had the opportunity to dispute the allegations. However, the Court of Appeals disagreed, holding the employer had not acted negligently and that the reference was in fact, fair. The employer's actions here successfullyachieved a balance between not giving inaccurate or unsupported statements while also not misleading a prospective employer. South Korean President Lee Myung-Bak approved on March 29, 2010, the Act on the Protection of Personal Data, a comprehensive privacy law that will require nearly all businesses and government agencies to protect personal information in databases and prevent damage caused by leaked and misused personal data. The law follows established data protection principles that require prior consent for the collection, use, sharing and disposal of personal data. 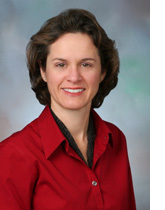 Lisa Sotto, head of the privacy and information management practice at Hunton& Williams in New York City, said "[under the new act]individuals will have improved legal recourse for privacy infringement, such as (1) privacy telephone hotline centers to register the data protection complaints; (2) a dispute mediation committee that can seek out-of-court privacy settlements; and (3) the option of filing a class-action lawsuit," Sotto said. Is the Bribery Act Finally Fit For Purpose? The Bribery Act 2010, which deals with the procedures that an employer can put in place to prevent bribery, initially received widespread criticism and as a result was delayed before coming into force in July 2011. The Act includes revised guidance by the Ministry of Justice and outlines six key principles for businesses to consider, now including more practical guidance and case studies. The Act states, a commercial organization is guilty if a person "associated" with it pays a bribe to win or retain business for the organization. It also provides that an employer has a defense if it can show that it has in place "adequate procedures" designed to prevent bribery. Employers should ensure that all their policies (such as whistleblowing and harassment policies), as well as internal practices, interact and comply with their anti-bribery and corruption codes. In addition, contracts of employment should contain a specific clause obliging all employees to comply with anti-bribery policies and practices.